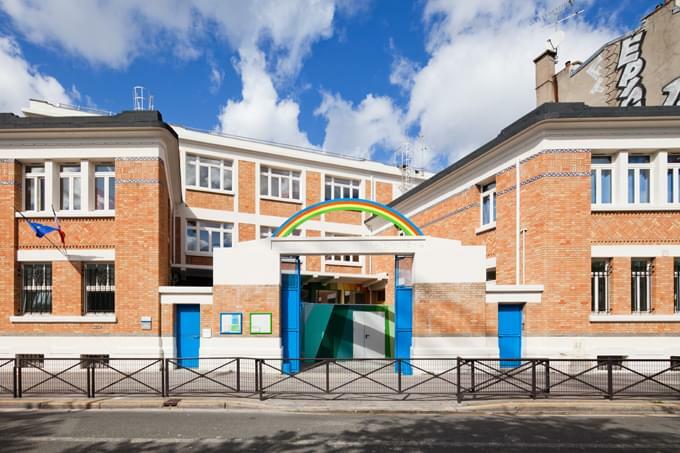 Ecole Maternelle Pajol, a four-classroom kindergarten on Rue Pajol in Paris’s 18th arrondissement, combines so many of the things we love. Parisian architecture office Palatre & Leclère has restored and reimagined the 1940s building , yet they have left the basic feel of the structure unchanged. We believe in repurposing and saving older buildings, but letting them tell their previous stories, even in their new guises. 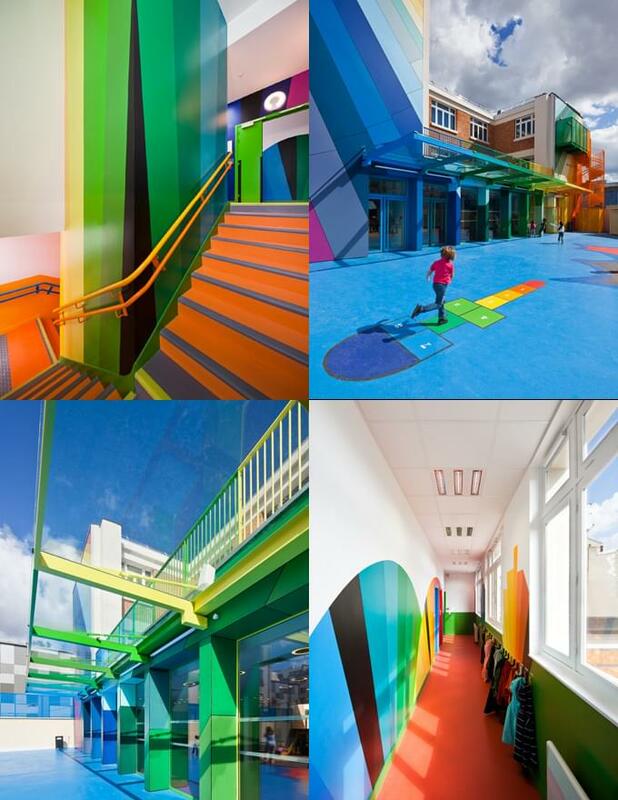 We love colour, especially when it is used to brighten up an otherwise drab or monotonous environment. 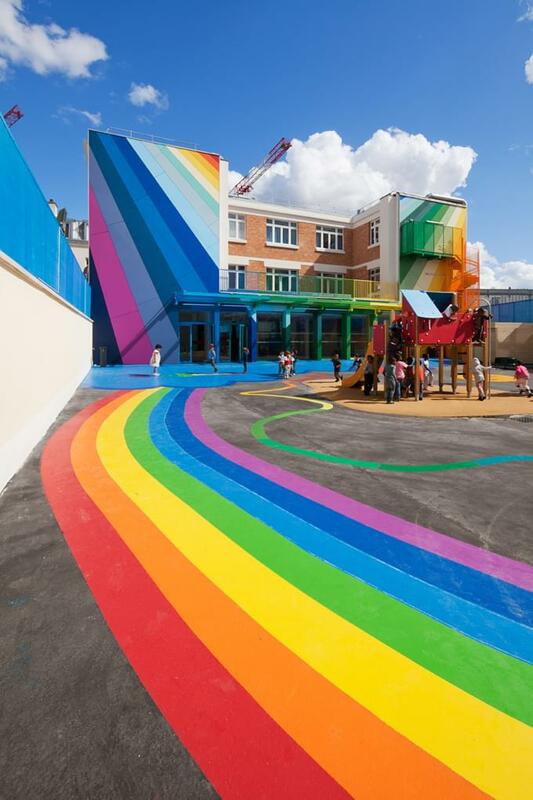 This kindergarten clearly speaks the language of joyful colour. 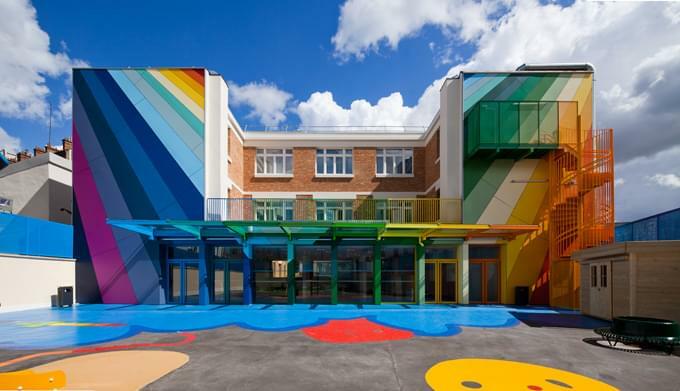 We love it when public art and public buildings and spaces are used to express joy and be playful, too, not just to parade impressive and ‘acceptable’ art and architecture. 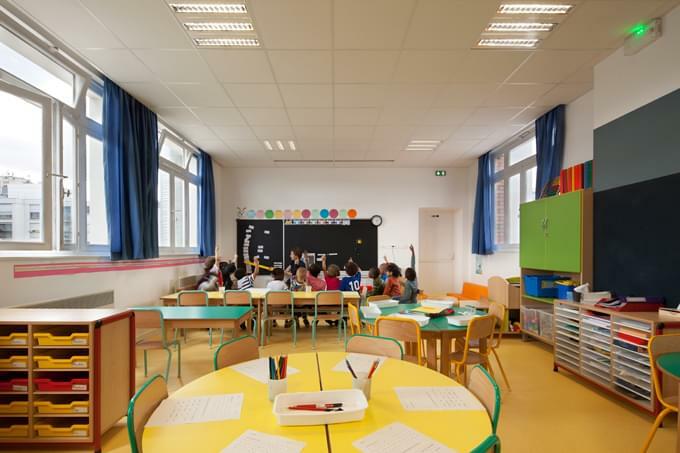 Of all places, shouldn’t a kindergarten resonate deeply with children, not just adults? And of course we love any project that invest the same time, effort and resources into spaces and places for kids than we are used to investing into adults’ play. 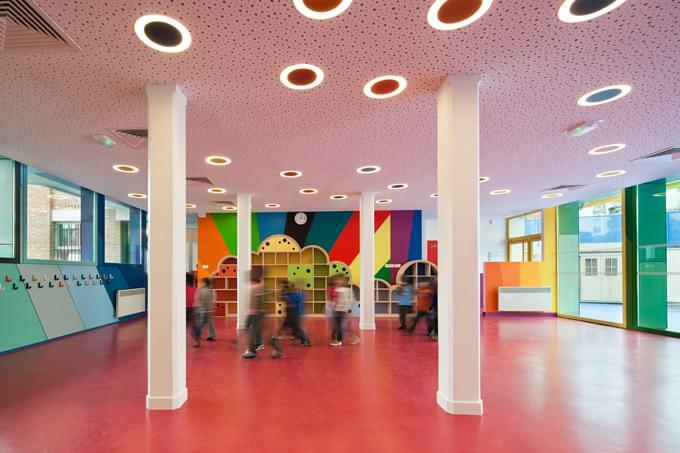 In Ecole Maternelle Pajol, Palatre & Leclère used colour boldly both inside and out. 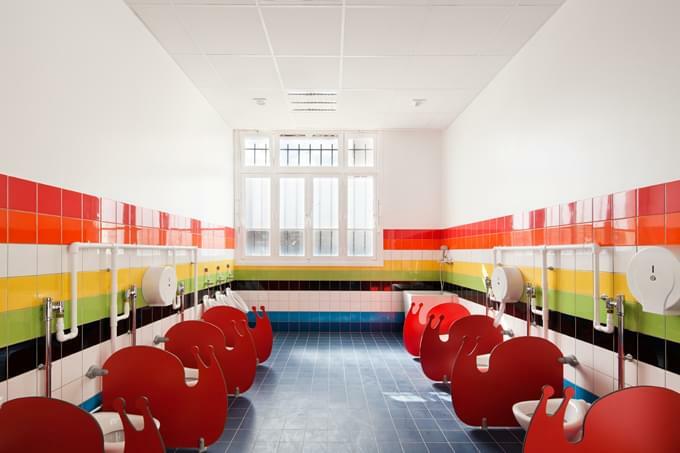 They also provided a variety of shapes and forms in the furniture, furnishings and on the walls, in the play areas, rest areas and even in the bathrooms. In addition, they provided a variety of textures from tile and glass to rubber and wood. The building has kept its 1940s brick-wall feel, yet it radiates exuberance and has an up-to-date energy. Most likely its current users feel it was built just for them. Palatre & Leclère is an architecture agency founded in 2006 by Tiphaine Leclère and Olivier Palatre. – Tuija Seipell.